Iranian leaders preach that nations should respect the sovereignty of other states and therefore should not interfere in the domestic affairs of Iran or its allies, such as Syria. Such statements appear to be pure rhetoric, as recent developments clearly reveal that the regime does not practice what it preaches. 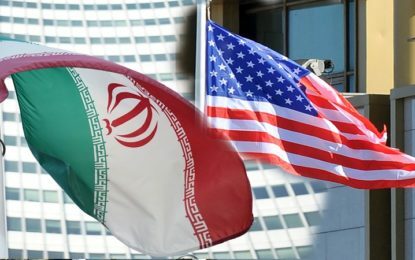 In addition to its military adventurism in the Middle East and its meddling in the domestic policies of other countries, the Iranian regime is escalating its employment of spies and special agents to interfere in the sociopolitical, religious and socioeconomic landscapes of other nations. This policy is not only implemented in the Middle East, but also in the US and the EU. Iran is increasingly utilizing agents who are very unlikely to appear, or be detected, as spies. For example, the US Department of Justice last year said that two individuals were acting as spies for the Islamic Republic. One of them, Majid Ghorbani, 59, worked at a Persian restaurant in California. The other, Ahmadreza Mohammadi Doostdar, 38, is an American-born citizen of Iranian descent. Doostdar holds both Iranian and American citizenship. They were accused of spying on Jewish and Israeli facilities, as well as collecting information about members of the Mujahedin-e Khalq.